The Bamboo Panel collection depicts the impressions left by nature. These elegant collections of finely crafted bamboo paneling spans classical and contemporary styles in a mix designed in many different organic earth tones. These products are Eco-friendly and sustainable as they do not damage the environment when they are produced or disposed of. With an array of colors to choose from, you bring your wall to the forefront of style. 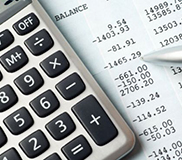 Use this calculator to easily calculate the number of bamboo panels needed. 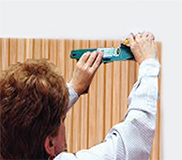 Learn more how to install bamboo panels with our easy DIY install instructions. Bamboo paneling is quickly becoming one of the most popular trends in decor, both in and outside of homes. 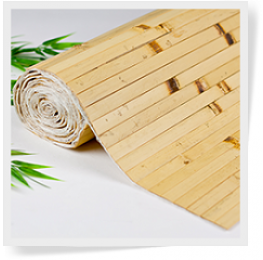 As a very flexible and pliant, yet extremely durable material, it is easy to understand why the use of bamboo panels is on the rise. 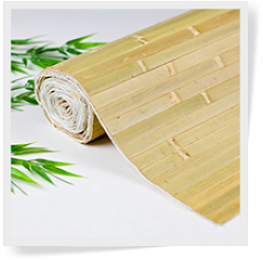 With the panels themselves being relatively easy to cut, alter shape and apply, bamboo panels make it fairly straightforward and simple for those who use them to add a bit of flare and/or protection to various aspects of their home or garden. 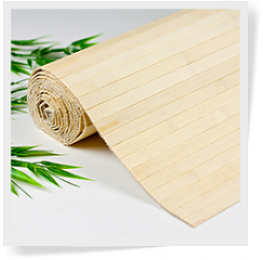 Additionally, Bamboo panels are inexpensive when you consider all the added benefits that come along with it. 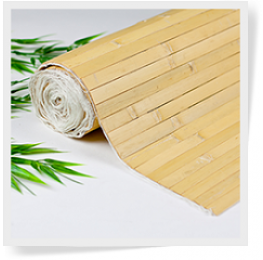 While some types of paneling can cost up to hundreds of dollars and be extremely difficult to install, Bamboo paneling costs less, and requires far less effort regarding installation than many of its competitors. Furthermore, we offer fast delivery and free nationwide shipping. With that said, there are many additional benefits to opting for bamboo paneling in and around the home, (or office space for that matter), which will be discussed in some detail below. 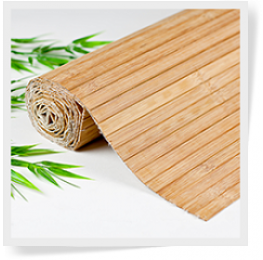 Bamboo paneling can be used in a variety of ways, including, but not necessarily limited to: paneling for ceilings, walls, islands (both in and outdoors), cabinets and more! Bamboo panels are simply a great addition to anyone who is looking to add a modern, slightly tropical feel into their home or office decor. Additionally, Bamboo paneling can be used to add fun highlights to a space — giving said space a unique look all of its own — or even be used to a bit of extra protection to objects than generally experience a good amount of wear and tear, (such as cabinetry). Whatever your use however, Bamboo Panels — due to their flexible and versatile nature — are sure to be able to fit all of your paneling needs. Apart from being a beautifully appealing option for paneling all on its own, Bamboo paneling comes with the added bonus of being eco-friendly. While alternative paneling options, (such as plastics or various types of woods), cause harm to the environment with their production by using resources which are either non-renewable or takes more than a lifetime to renew themselves, bamboo is cut above the stalks base line when harvested— allowing the plant to keep its ability to regenerate itself; a process that happens much more rapidly than the regrowth of a tree for instance. In fact, Bamboo grows at such a fast rate, that the product is considered entirely sustainable and by far the more environmentally friendly choice for those who are concerned. The Natural Burnt Option - The natural burnt bamboo paneling option consists of bamboo panels that have been expertly, hand burnt, at each piece of bamboo’s nodes, giving each panel a unique and modern, island style look. Additionally, this option is available to be stained with any sort of clear sealant to prevent color fading. 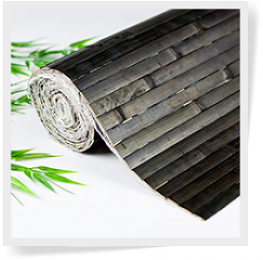 The Carbonized Finish Option - The carbonized finish bamboo paneling option is one which is created by exposing the bamboo to longer periods of steaming, thus darkening the paneling in color. Carbonized bamboo tends to be darker and richer in color — almost a milk chocolate/toffee colored brown — adding class and warmth to any space. The Dark Chocolate Paneling Option - The dark chocolate paneling option consists of bamboo panels that have been stained, using a deep yet brilliant, chocolate colored staining technique. Persevered by applying a clear sealant, the dark chocolate bamboo paneling option is great for indoor or outdoor use, and will provide rich color for years to come. 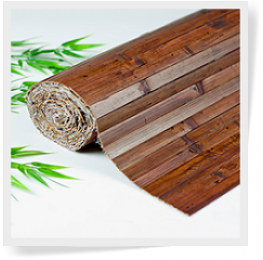 The Tortoise Option - The tortoise bamboo paneling option gives consumers a much earthier and light way to enjoy bamboo paneling. Each panel consisting of polychromatic coloring — including various shades of green, tan and light browns — the tortoise paneling option is a wonderful one for those looking to lighten up a space. 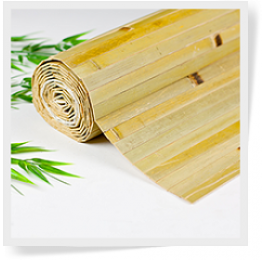 The Raw Green Option - The raw green bamboo paneling option is one which upholds the natural green and tan coloring that bamboo exhibits in nature. Expertly cured in order to maintain color authenticity, the raw green paneling option allows consumers to take in the natural beauty of bamboo while adding light and vibrant tones. The Raw Green Burnt Option - The raw green burnt paneling option is the perfect union between the raw green paneling and burn paneling options. Consisting of cured bamboo that retains its original color and beauty, in addition to expertly burnt, authentic patterns, the raw green burnt paneling is a uniquely organic option for any space. 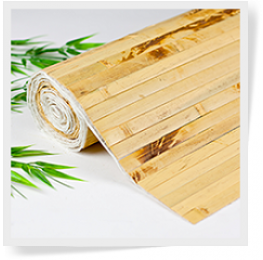 The Natural Raw Option - The natural raw paneling option is similar to the raw green option: both have been cured to uphold the bamboo’s natural color. The natural raw option however, leaves the color as is, allowing for a very authentic look, as opposed to a greener one offered by the raw green. The Ebony Option - The Ebony paneling bamboo option, uses moso bamboo and an Aluminum oxide finish to create a deeply rich and extremely durable option for paneling. Two times the strength of oak paneling, ebony bamboo paneling is a great option for adding rich tones and an old time feel into your space. The Natural Finish Option - The natural finish paneling option is exactly what it claims to be; paneling that is 100% natural, each bamboo piece having been cut to an even 11/16 inch in width, this uncured and natural bamboo paneling option is by far the most authentic and natural looking option to date.